Jungle Red Writers: Ice Cream, Ice Cream, Who Screams for Ice Cream? In a medium saucepan over low heat, stir together brown sugar, eggs and half and half until smooth. Bring to a simmer, stirring occasionally, and cook two minutes more. Remove from heat and stir in cream, vanilla, and pecans. Pour into ice cream maker and freeze according to directions. This sounds really yummy, but I know I had recipes for strawberry and peach which have mysteriously disappeared. 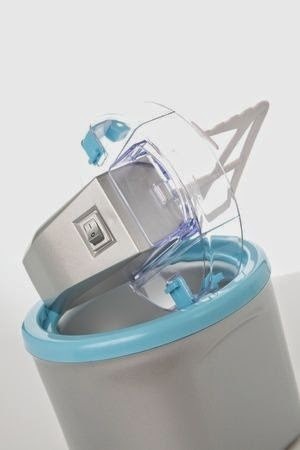 Looking on the internet, I see that our ice cream maker is oh-so-20th century. Not only is rock salt no longer required in the fancy new versions, I could even get an ice cream attachment for my Kitchen Aid mixer! And the profusion of recipes is mind-boggling. 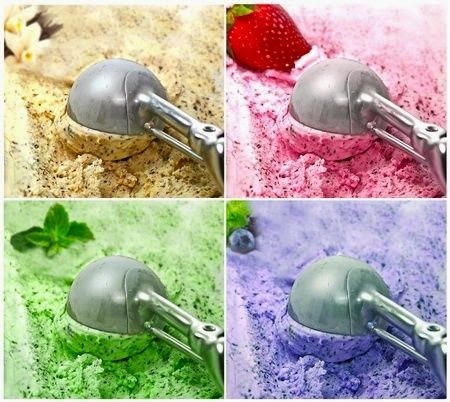 So I'm turning to you, REDS and readers, for your tried and true perfect homemade ice cream recipe for 4th of July weekend--or any hot summer weekend! HELP! (And if you give me enough irresistible recipes, maybe I will upgrade to a snazzy new ice cream machine! Oops . . . forgot to say recipes are from my favorite Joy of Cooking cookbook . . . . This is one chore I farm out. Milwaukee is dotted with custard stands (super rich variation on ice cream). I live about a mile from Kopp's (kopps.com) where today's flavors-- in addition to the daily chocolate and vanilla-- are mint chip and chocolate almond. These places are open all year long, and you are not a true Wisconsinite if you won't go out in a raging blizzard (sometimes wearing shorts!) to get the flavor of the day. We too do not have an ice cream maker....One or more Kimball's is within 2 to 10 miles.! Also Great Brook Farm makes their own too and you can see the cow that the milk/cream comes from. My favorite ice cream recipe is Meyer Lemon Strawberry Ice Cream. The lemon is more lemon meringue pie than lemon ice, and I could eat the cooked lemon strawberry curd hot with a spoon. Note: If using regular lemons, increase sugar to 1 cup. You can handle the strawberries a couple of ways. I prefer to mix them in with the lemon rather than add them just before freezing. You get a more uniform strawberry flavor and you don't have frozen chunks of berries. If you like, you can leave the strawberries out of the first step and stir them (and the juice) in just before freezing. You could also do half cooked in the mixture, half stirred in before freezing. Hull and slice the strawberries thin then toss them with the sugar and let it all macerate for a couple of hours to draw out the juices. Combine eggs, sugar, lemon juice , butter and strawberries in top of a double boiler then place over simmering water. Stir constantly (use a hand mixer if necessary) for 15 minutes or until it thickens. This is essentially lemon curd. Let cool a bit then add the half and half. You may choose to strain out the strawberry solids. Cover with plastic wrap (stick it to the surface to prevent a skin from forming) and refrigerate until cold. Freeze according to your machine instructions. LordAMercy - you guys are killing me!!!!! (Debs, you are bad, bad, SO bad for bringing this up). There's nothing I love better than ice cream. These recipes all look scrumptious. We no longer have an ice cream maker and have been pondering what to get, but the choices are mind-boggling, so this is the perfect place to hear suggestions. We had an ice cream maker when I was growing up, but yes, with a local place a mile away that makes delicious ice cream in a mind-boggling array of flavors, I just don't have the drive to make my own. But the recipes sound lovely. Now I want ice cream! I love the Snickerdoodle ice cream recipe from Land o' Lakes! I also add a couple dashes of cloves. Well now I have to dust off the ice cream maker! 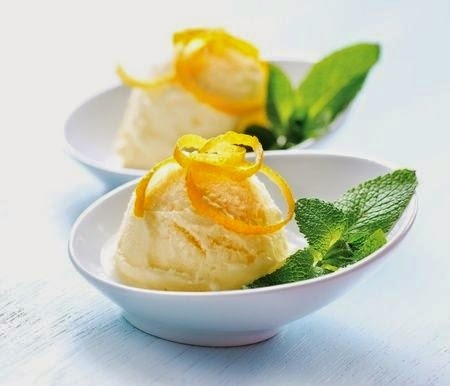 Homemade is wonderful, but we have a local ice cream--uses milk from local herds--carried in all the local grocery stores as well as at ice cream stands --and they do special flavors to support local events--like Melon ice cream for the Melon Festival. Gotta support the home team! Agree with Hank. We have a 3 Twins Organic ice cream just down the hill. Salted caramel is the best. But Ben and Jerry's Heath Bar Crunch is hard to beat. Although when I'm in Cornwall the clotted cream ice cream is to die for. And still dreaming of panna or torrone gelato in Florence... especially a (tiny Italian) scoop of either one on top of a mixed fruit macedonia (best summer breakfast in the world). So far Sandi's Meyer Lemon and Strawberry is the winner! I dare somebody to come up with something better! My recipes involve buying ice cream from the store, but I do love ice cream. I'm with Hank, Rhys, and Ellen. 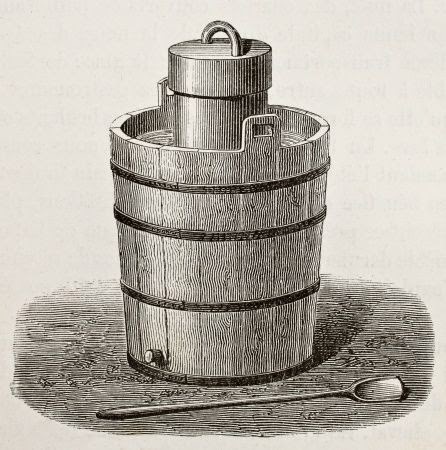 I see the attraction of homemade ice cream, but I've never been motivated to make my own. I do enjoy ice cream, but it's not something I crave. Of course, I don't ever remember turning it down either. My favorite ice cream treat is a hot fudge sundae. Now that, I might crave a little. I love love love ice cream, so a few years ago when I found an ice cream maker on clearance, I had grand illusions of using it regularly. The cups stay in the freezer, ready for action, but that's about it. I think we used them to chill down a bottle of wine once. As a closing note, we made the butter pecan and in our very out-dated ice cream maker, and it was delicious. If I made it again, I'd cut the sugar by at least a quarter, but then I don't have a very sweet tooth. Debs... this is the perfect ice cream recipe. 1. Puree peach slices with all other ingredients except buttermilk. 3. Follow ice cream maker directions for freezing. 4. It won’t be solid, but just holding its shape. 5. Pack into freezer containers. Freeze firm. 6. Mint Sprig garnish is very nice. The Harrington-Carters have never made it to steps 5 or 6.